Lisa Mildon has been an IT professional for 30 years and a tech writer for 12+ years. Her writing has appeared in Geekisphere and other publications. Who doesn’t get excited at the thought of the bright lights and the silver screen hoping to see that epic action adventure or hilarious new comedy? Fortunately, technology makes getting movie tickets so much easier. Using the Fandango app and website, you’ll soon be on your way to an evening’s entertainment. Since Fandango is one of the earliest online ticket sales adopters, they’ve had time to streamline the purchasing process. There are actually two ways to purchase tickets: From Fandango.com or using the Fandango app for Android or iOS. Buying movie tickets using the Fandango app is largely the same as buying tickets using the Fandango website. Go to Fandango.com or open the Fandango app. At the top of the website, use the search bar to enter your location or the movie you want to see. Select Go or tap the magnifying glass in the app and Fandango should give you theaters or movie choices. Make sure your favorite theater is an official Fandango theater. Fandango will label it if it is. You’ll now have a mini calendar for the next 7 days to pick from, but you can scroll to see later dates. Scroll to the movie you want to see, then select the time you’d like to go see your movie. If a particular time is greyed out, that means that time is already showing the film and you can't buy tickets for it. On the next screen, select how many tickets you want to purchase. Once you’ve selected the number, select Continue to Seat Selection or tap Choose Seats in the app. Don't take too long here, as you're only given a few minutes to make the purchase. Now you get to pick your seats if you have reserved seating. Select Continue or Next to proceed to payment options. Make a note of where the screen is so you don’t select a seat too close or too far away. The next screen is where you’ll sign up/into your Fandango account. You can check out as a guest, but signing up for their Fandango VIP account is highly recommended. You must enter an email and password, then choose your form of payment. You have several ways to pay. You can use your debit/credit card, PayPal, Visa Checkout, GPay, MasterPass, or a Fandango Gift card. You’ll get an opportunity to review your order before completing. Once you’re ready, select Complete My Purchase or tap Continue on the app complete the transaction. You’ll get instructions on how to pick up your tickets on the confirmation page after your purchase. Fandango will also email the details to the email address you provided in the transaction. You can either print out your tickets, use your email confirmation, or use their free handy smartphone app. If you've purchased through their app, there's nothing else you'll need as you'll have the QR code to have scanned at the theater. Tap Account > Purchases, then tap the movie you bought tickets for. 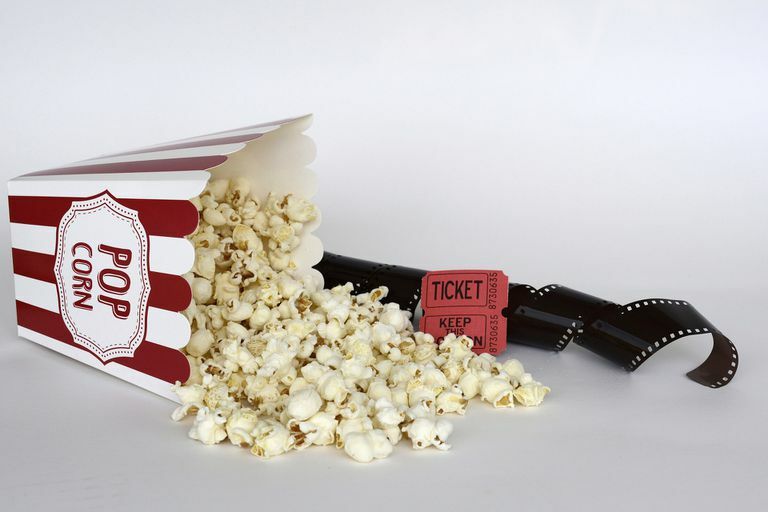 What Are the Benefits of Fandango VIP? Fandango VIPs earn 125 points for every ticket they buy. Once you get 500 points, Fandango gives you $5 towards more movies. Another way to earn points is to use your MasterCard. Each time you pay with one, you get an additional 50 points towards your balance. Another nice benefit is you can also use those points in FandangoNOW, Fandango's entertainment streaming channel to stream movies and TV shows. It's available on a variety of devices, including Android, iOS, smart TVs, video consoles, and more. What Else Can Fandango Do? Even if your favorite theater doesn’t sell tickets through Fandango, the website provides useful information. You can still see movie showtimes, the length of the film, type of film, the original release date, story synopsis, and even Rotten Tomatoes ratings. You can even view movie trailers and info on the cast and crew. Best of all, they provide timely entertainment news for your viewing pleasure. Fandango can be the one-stop shop for the burgeoning film enthusiast. How Does Assistive Technology Work?